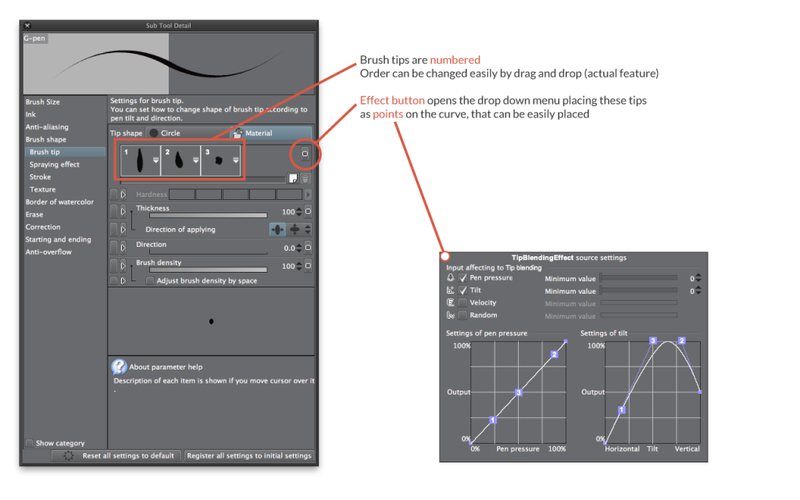 While thinking about a more consistent way to create a Tombow simulation in Manga Studio my UI designer attitude diverted me to a feature suggestion that would be great for custom brush design. 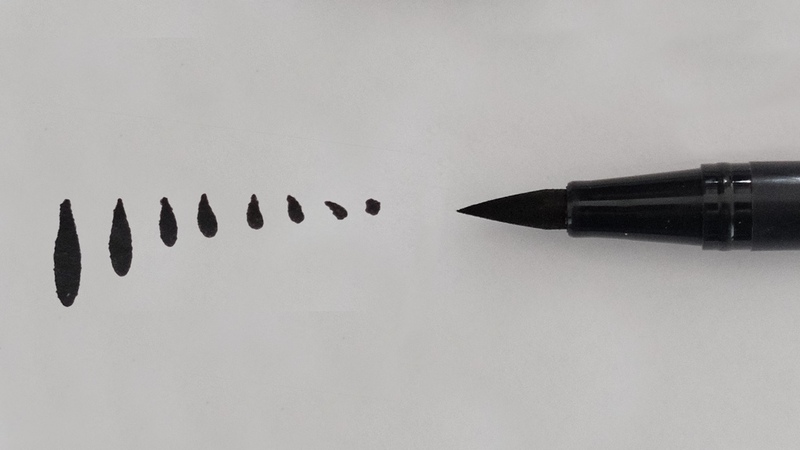 In real life the shape resulting between pressure of tip and a surface vary a lot in particular if the nib geometry is complex, in the case of a Tombow the shape vary from a sort of “cuspid shaped ellipse” to a sort of circular shape: it is obvious that the simple thickness effect and relative distortion is too rough as approximation. Painter and Photoshop offer dedicated brushes with such feature, but with few customization parameters in Corel’s beast, and almost none in PS. So I’ve tried to tweak the existent UI of Manga Studio brush palette, to suggest a usable and easy approach to a shape blending effect. The behaviour is showed in this picture: let’s suppose to capture three different shapes, and to be able to bind each one to a tilting or pressure curve. 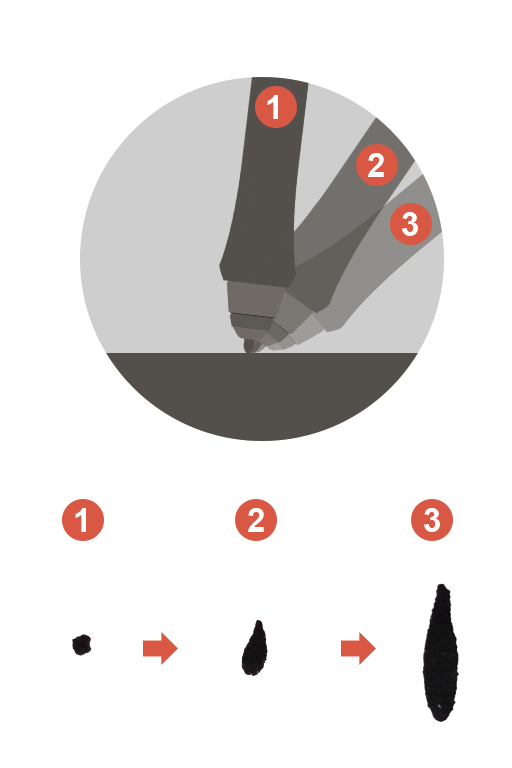 Obviously the shape is supposed to blend among the choosen tips, with a number of steps that can be decided too. Probably it would be quite complex, and I don’t know if is a fast and snappy approach for such a brush engine, but I think is easy to be managed by user and for sure is a never approached feature before. What do you think?